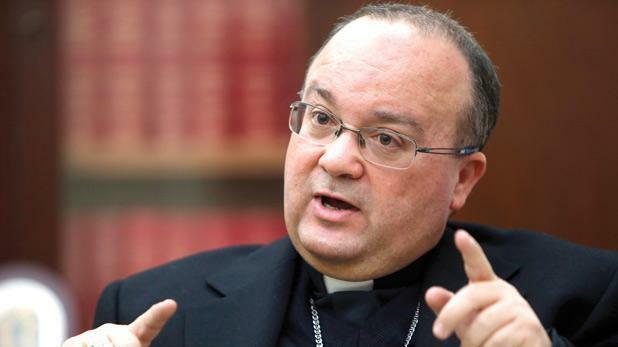 Whenever Archbishop Scicluna “dares” to speak about the environment, economic justice, high rise buildings, the gaming industry, euthanasia, morning after pill, bloggers and other similar subjects all hell breaks loose. The “Bishops should be seen but not heard” Brigade goes on the attack. Bishops, they believe should be like the three proverbial monkeys: they see nothing, hear nothing and say nothing. The brigade is very generous in its interpretation of free speech. So they say that bishops could abandon the Model of the Three Monkeys to speak about village festas, angels and devils, kurunelli tal-qaddisin and also about sexual mores. Anything else risks stern condemnation. Archbishop Scicluna is not the only bishop of the Catholic Church to totally disagree with this brigade. Catholic bishops around the world, under the encouragement of the social teaching of the Church and the example of Pope Francis, speak on many subjects. Just a few examples from different continents about the incursions of bishops in the public sphere in the last few week should suffice. The first example is from Europe and the USA. The presidents of the United States Conference of Catholic Bishops and the Commission of the Bishops’ Conferences of the European Community, for example, have recently issued a joint reflection on the Transatlantic Trade and Investment Partnership, the trade agreement that is being negotiated between US and the EU. If we fly over to Central America we find the second example. Bishop Ramón Castro Castro of Cuernavaca in Mexico in August hosted at the Cuernavaca cathedral more than 100 people from various civil organizations who expressed criticism of Graco Ramírez, governor of Morelos. The problem is not speaking-out-and-loud bishops but silent ones. The Cuernavaca Bar Association defended the bishop’s rights. If from Central America we fly to Nigeria we find the third example. Cardinal Anthony Okogie, the retired Archbishop of Lagos, Nigeria has called upon the country's President Muhammadu Buhari to fulfill his campaign promises and bring help to the poor. "Today cries of hunger can be heard across the length and breath of our vast country," Cardinal Okogie wrote in an open letter to Buhari. "Nigerians hunger not only for food, but also for good leadership, for peace, security, and justice." I pick the fourth example from Latin America. Archbishop Diego Padrón Sánchez of Cumaná, president of the Venezuelan bishops' conference stated that the government is suffering from a “chronic” hearing disorder in face of the suffering of the people. The archbishop lambasted the government for carrying out persecutions conducted against different opposition leaders. “The government's hearing disorder has become chronic in the face of the people’s suffering, shortages, food shortages, the high cost of living and lack of public safety,” he complained. “The government has made a serious mistake in opposing the will of the people. The voice of the people is the voice of God,” the Venezuelan archbishop said. Bishops are really and truly very different from the proverbial three monkeys. At least good bishops should be. The problem is not speaking-out-and-loud bishops but silent ones.